Today was my birthday and what better gift could I have than a box full of Heart of Gold turning up. So those people who won the competition, and the QLD Floods auction, your books will be heading out soon. 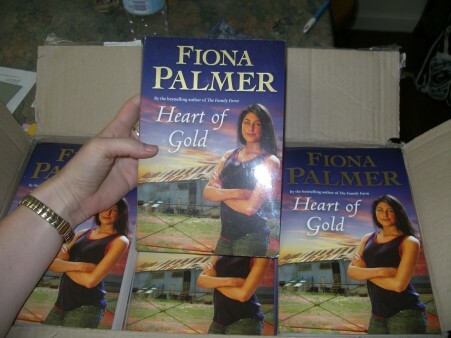 And for those who haven’t heard me shouting it from the roof tops, Heart of Gold is already having a reprint of 2,500! I have a grin that you could drive a wide load through!